We’ve all done this before: you’re traveling down the road when all of a sudden, you catch something out of the corner of your eye that makes you go “what the heck is that?” Next thing you know, you’re fighting the urge to turn the car and around and head back to check this roadside oddity out for yourself. No date on these things (or the box), but they look to be pretty old. 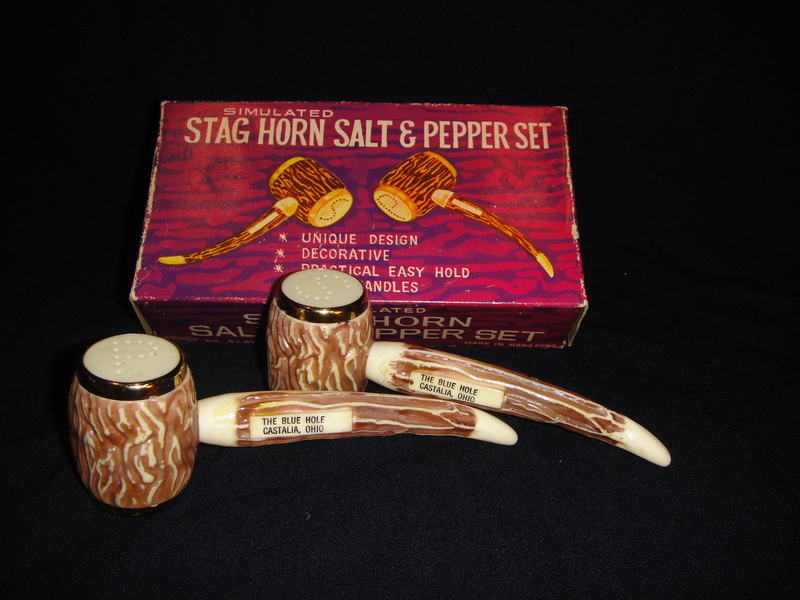 Other than the “Blue Hole” stamped on each horn, I can’t find any connection between stag horns and the Blue Hole. In other words, I have no idea why these things were for sale! Perhaps they were just mass-produced and different roadside attractions could get them personalized. 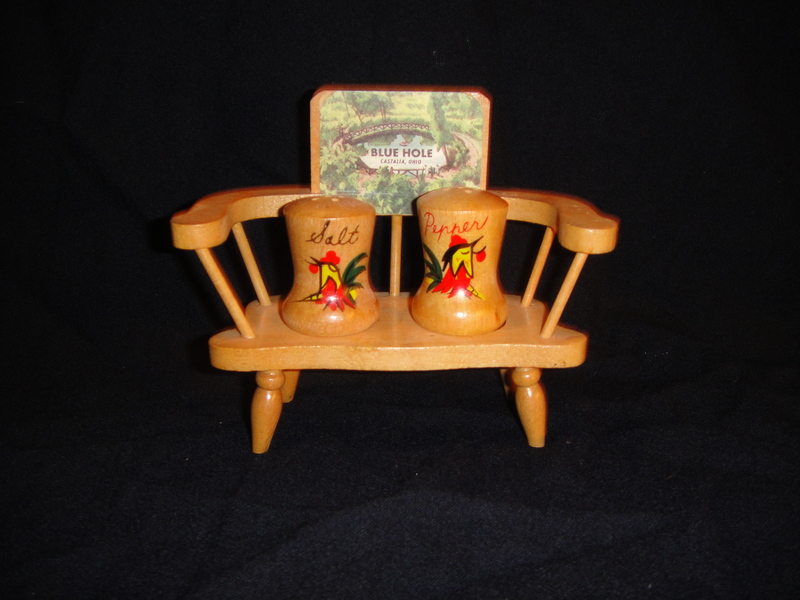 There is, of course, the whole notion that people visiting the Blue Hole just liked their salt and pepper shakers. Keep reading and you’ll see what I mean! don’t know about you, but for me, nothing embodies the Blue Hole more than a couple of salt and pepper shakers sitting together on a park bench! There are no dates or other markings anywhere on the piece, so I’ve yet to determine just how old it is. In the early morning hours of June 14th, 2010, the giant statue known as the Big Butter Jesus was struck by lightning and burned to the ground. Although the statue would eventually be rebuilt, it no longer bears any resembles to the previous one. 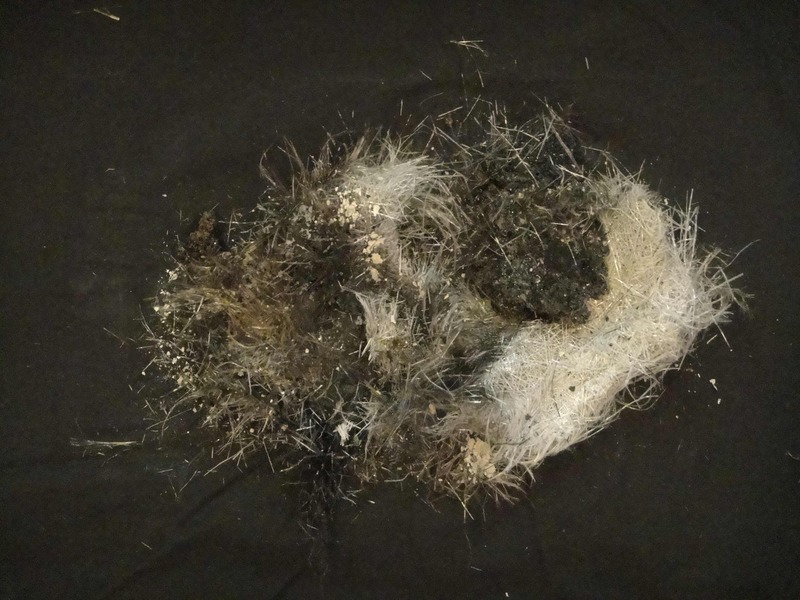 These are some of the charred remains of the Big Butter Jesus that were recovered after the fire was extinguished. 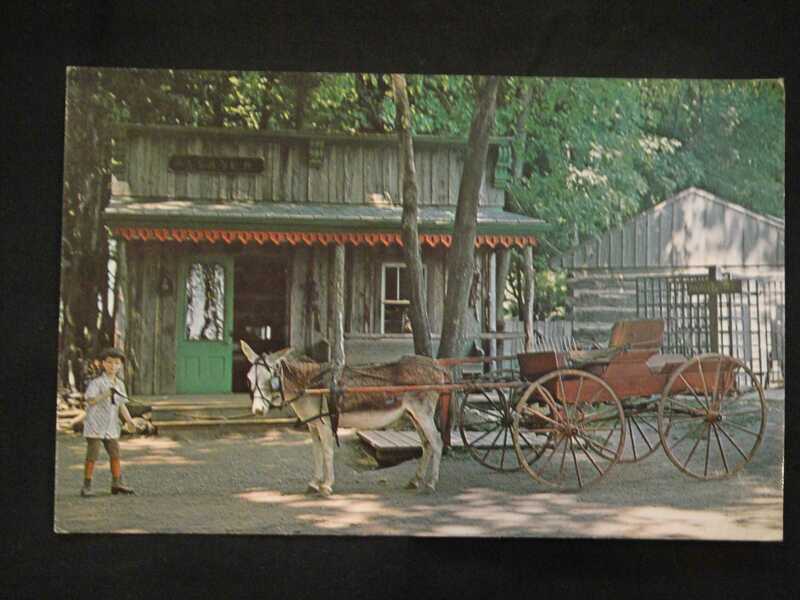 Although Ghost Town in Findlay, Ohio, is now closed, it was quite the tourist attraction back in the day. 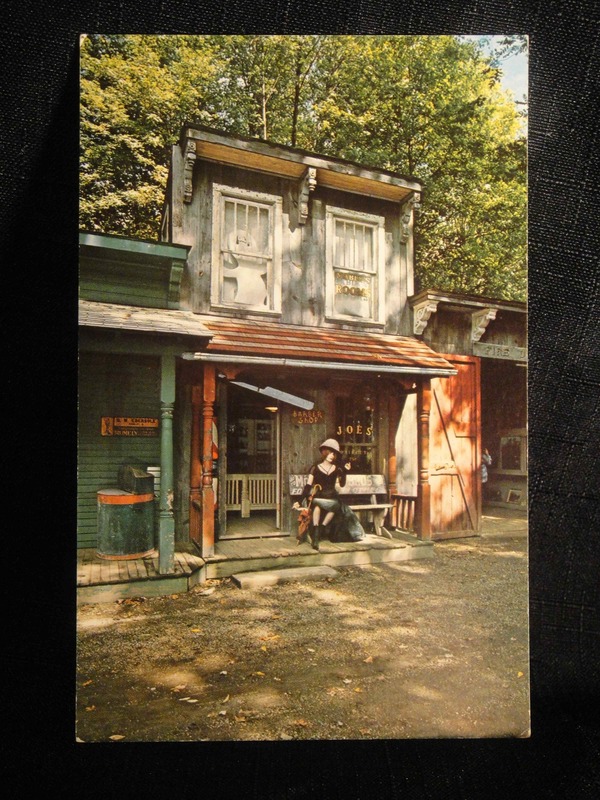 This is the front of a postcard that was sold at Ghost Town as a souvenir. 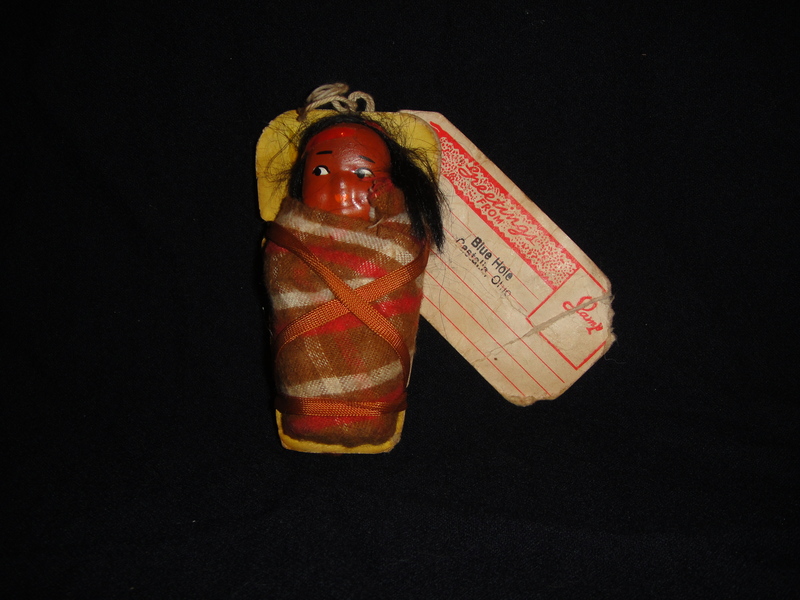 It features the rather disturbing image of a stone boy pulling a donkey-driven carriage past the “Assayer” office. There are no markings of further description on the back of the card. A real Steam Locomotive built in 1880. It carries sight-seers over a one half mile track at the authentically reproduced American Frontier Village–Ghost Town. Joe’s Barber Shop and Mabel’s Rooming House of Ghost Town house period furnishings and fixtures of the 1865—1900 era. Shaves and haircuts may cost more than “two bits” but the nostalgia of a bygone era lives on in this restored village. 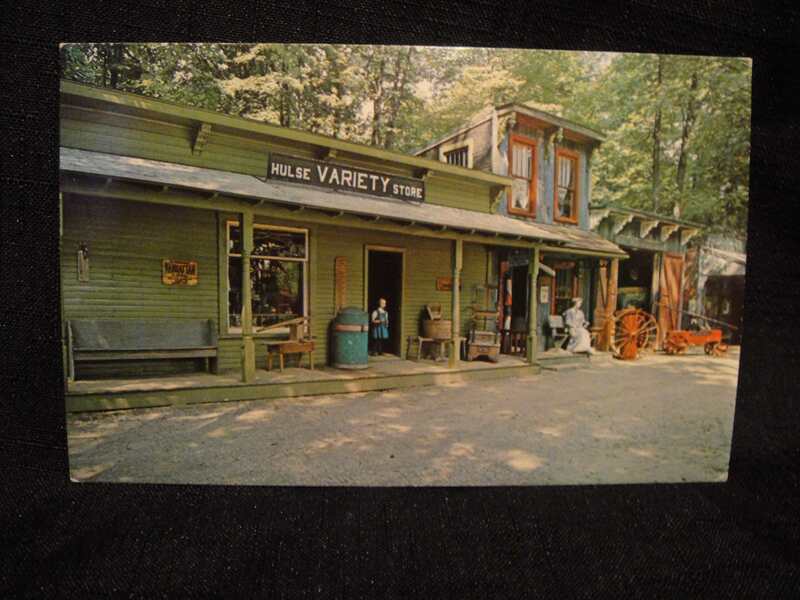 The Country Store of Ghost Town displays one of the country’s most complete examples of stock and fixtures of the 1890s era. Complete from coffee grinder to pot belly stove, this old store is one of Ghost Town’s most educational exhibits. Originally sitting atop the Alpine-Alpa Restaurant in Wilmot, Ohio, the contraption dubbed The World’s Largest Cuckoo Clock was 12 years in the making. It was sold and 2010 and moved to Sugarcreek, Ohio, where it is currently undergoing restorations. At the Cuckoo Capital of Ohio. This masterpiece was 12 years in the making—1962-1974. Stands 231/2 feet high, 24 feet long and 13 1/2 feet wide. It cuckoos and chimes on the hour and half hour and the animated carvings from the Schwarzwald, Germany, performing to music. 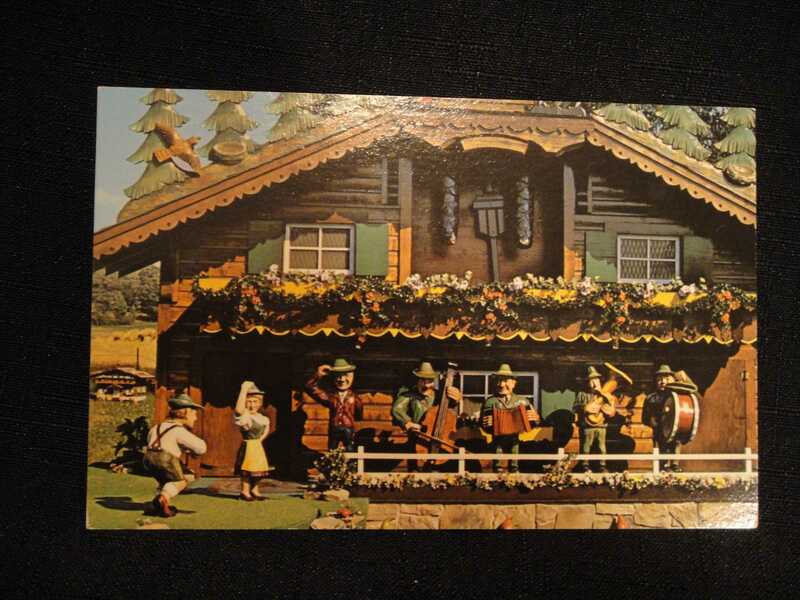 Purchased in 2004 from the Alpine-Alpa Restaurant, which had by that time, dropped the Alpine villa theme and was instead featuring live bluegrass music for all to enjoy while they sampled from a buffet of Amish food. Needless to say, I think the mug had been sitting there a couple of years (at least) before I bought it. When I look at all the weird things that people like to collect, teaspoons rank right up there near the top. I guess because I don’t get why they had to be teaspoons as opposed to, I don’t know, butter knives or ladles. 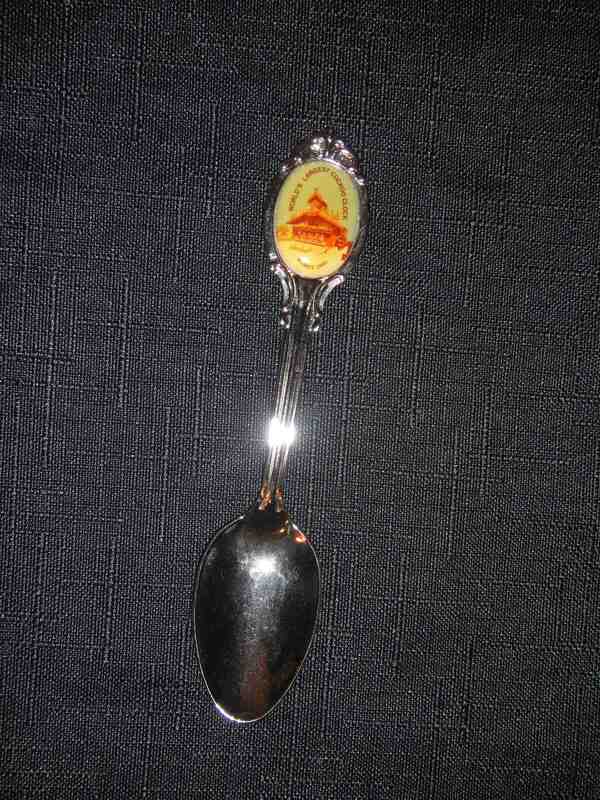 Anyway, I knew it was only a matter of time before a “collectible teaspoon” made it into my Strange & Spooky Museum. 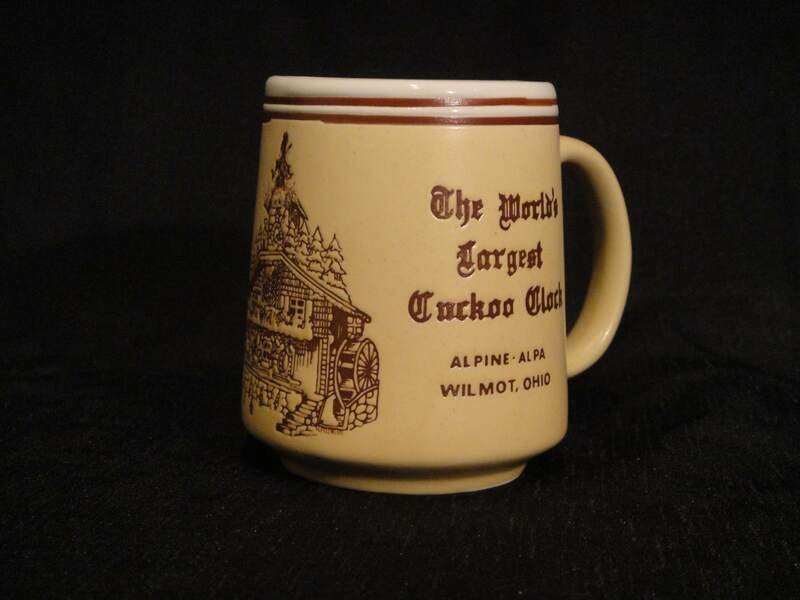 So leave it to my wife to find one for me from the World’s Largest Cuckoo Clock! In 1962, a coal vein running underneath the town of Centralia, Pennsylvania was accidentally ignited…and it’s been burning ever since. During that time, the entire town of Centralia was permanently evacuated and a portion of Route 61 was closed and rerouted after it collapsed from the fire. 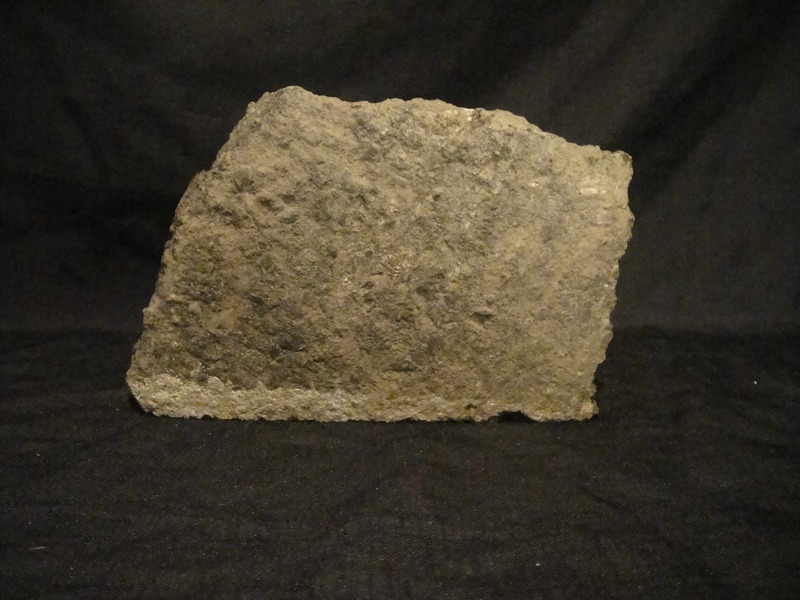 This is a piece of asphalt from the closed portion of Route 61. 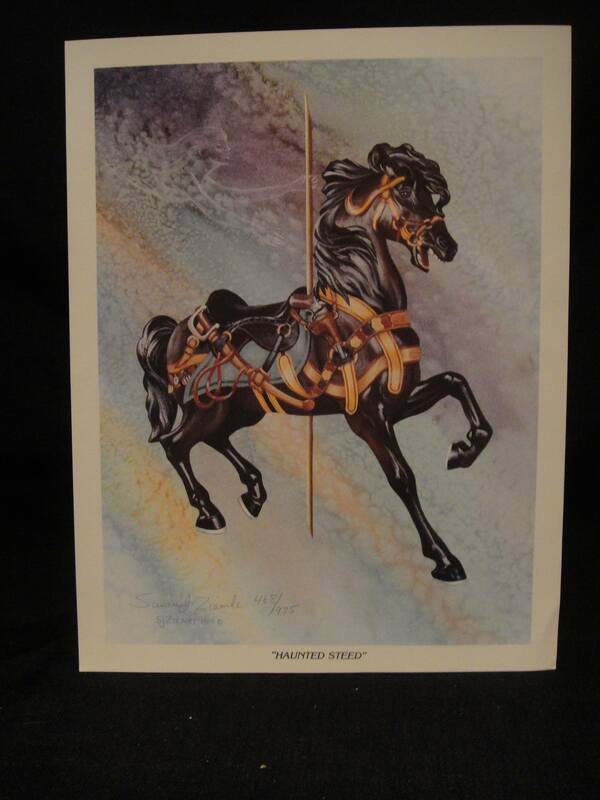 For more information about the ghost stories associated with the Military Horse, The Ghosts of Ohio has a whole web page devoted to them! I wasn’t sure where to put this, but I have been fascinated with this postcard since 2001 when I first stumbled across it. 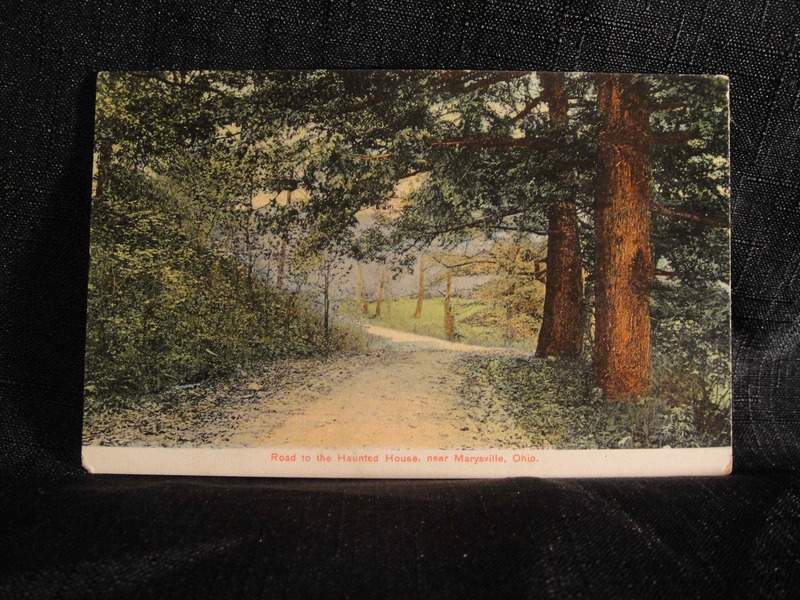 Not only is the card undated, but there’s absolutely no other information on it other than what you see on the front: “Road to the haunted house, near Marysville, Ohio”. 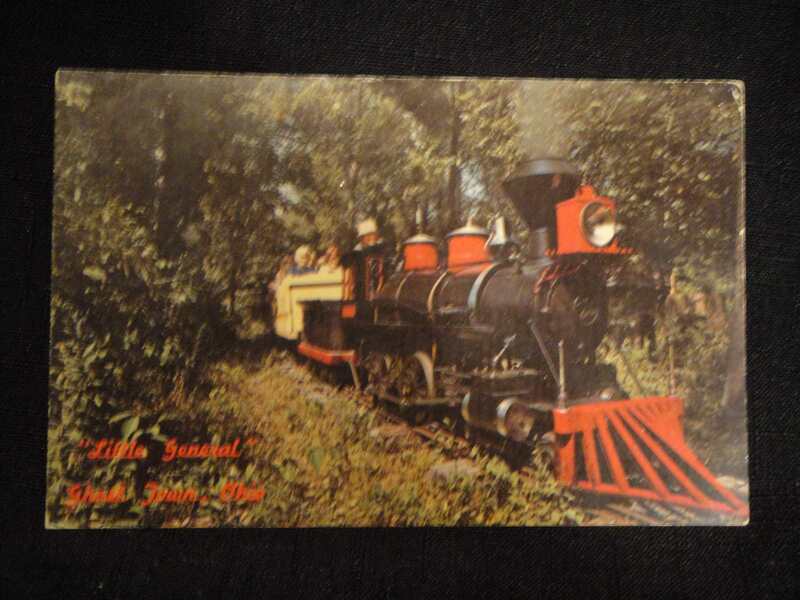 So if anyone has any additional information on either this postcard or the location of said “haunted house”, I’m all ears!